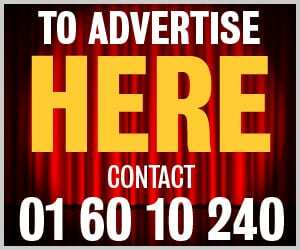 Castleknock Celtic shared a dramatic 3-3 with Esker Celtic in Porterstown Park in the second round group stage match of the Charlie O’Leary Under-19s Cup. Luke Danaher, Castleknock Celtic centre forward, heads goalward against Esker Celtic. Similar to last week’s 2-2 draw with Maynooth Town, Castleknock were once again 2-0 behind after a very slow start. Esker striker Euan Selkirk opened the scoring with a terrific volley from the edge of the box. Meantime, Castleknock scorned multiple chances to equalise through a series of corner kicks and free kicks. However, it was Esker’s Selkirk who struck again to make it 2-0 at half-time. After the break, the next goal would be critical following three fresh substitutes being introduced by Knock at the interval. Their impact was immediate and it was centre forward Luke Danaher who pulled one goal back for Castleknock. 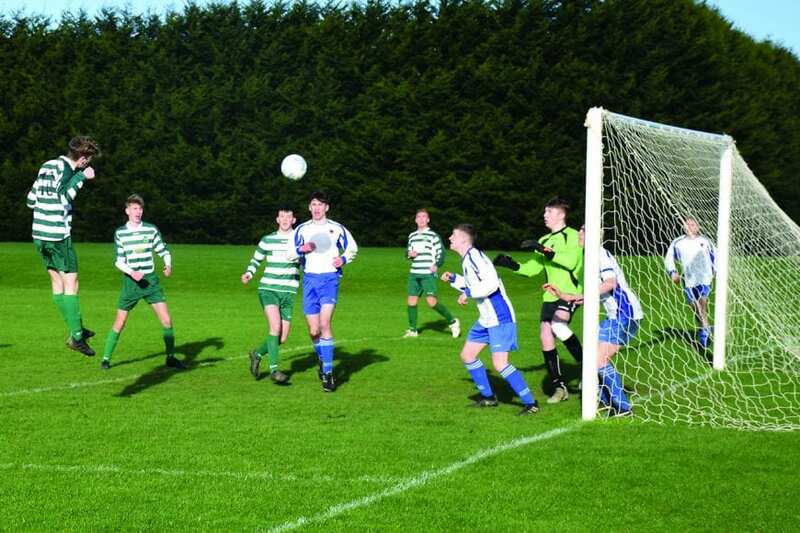 The home side continued to press for an equaliser and it was Danaher again who gained parity for Castleknock after he broke through the Esker rearguard, raced forward before twisting left to calmly shoot from an acute angle past the retreating keeper and defender on the goal line. Soon after, from a free kick at the corner of the penalty box, Sean Hogan’s effort was nodded toward goal by Danaher but the striker was unlucky to see his header rebound off the post. It was then the turn of Killian Ronan to test the excellent Jason Gibbons in the Esker goal but the keeper pushed the ball wide with a superb save at full stretch. With Castleknock chasing the winner, Selkirk delivered what looked like a decisive sucker punch to the hosts when he broke free and scored again. His outstanding pace and clever skills enabled him to round the Celtic keeper, Oisin O’Donohue, before finishing with aplomb to earn him a deserved hat trick. With minutes remaining, Castleknock mounted a wave of attacks. They finally got their reward when centre-half Adam Kaiser popped up in the box to drill home the equaliser under keeper Gibbons. 3-3 was a fair result to this very entertaining end-to-end encounter. Both teams await their first win in this competitive group but based on this performance, they may not have long to wait. Elsewhere, Castleknock Celtic will hold a further open day in January for players for the 2019 season, including new players to their teams that range across all schoolboys/girls age groups. Details will be on their website soon.